Brighton’s involvement in Shell’s first large scale LNG facility in Canada included the modular design and engineering of a 0.3 Megatonne/year LNG liquefaction facility, serving as the template for future LNG facilities to be built throughout North America. A list of the specific work that we provided is listed below. 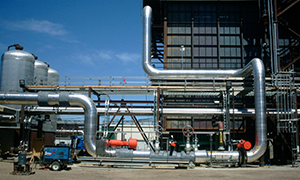 Brighton’s involvement in Enterprise’s Texas PDH Plant includes the design consultation and stress engineering of piping and equipment in the low temperature recovery and propylene refrigerant system. A list of the specific work provided is listed below. With both the confidence and expertise to support domestic and international authentication services, Brighton was the key firm in authenticating all the pipes for Harvest’s 10,000 barrels per day SAGD facility. For this project, we were consulted to provide engineering and design services on several API 650 storage tanks that had experienced excessive settlement. 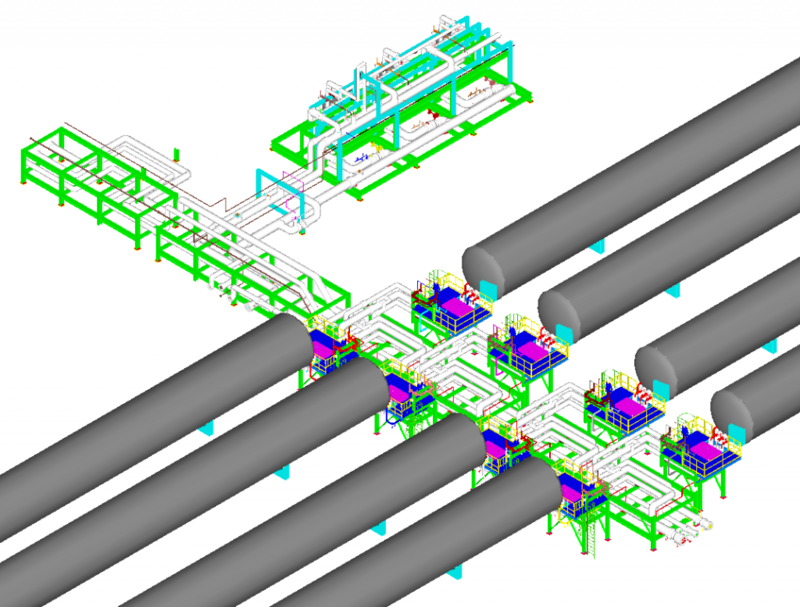 Brighton has been a leader in Piping Engineering and Stress Analysis since the company was created. From SAGD to LNG, our engineers have the skills and experience to handle a variety of piping engineering needs. When it comes to piping, we are experts in knowing what materials are best suited for any piping need. From carbon steel, to duplex stainless steel, to fibreglass material, we have worked with the most commonly used piping materials and can provide our clients with the best possible recommendations. We can also create or review custom piping specifications for unlisted materials to be registered with regulatory bodies. 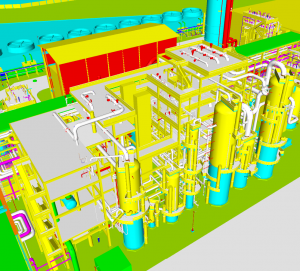 With hot piping temperatures capable of reaching well over 500C, and cryogenic piping temperatures below -200C, extreme care must be exercised when designing and supporting piping within a facility. 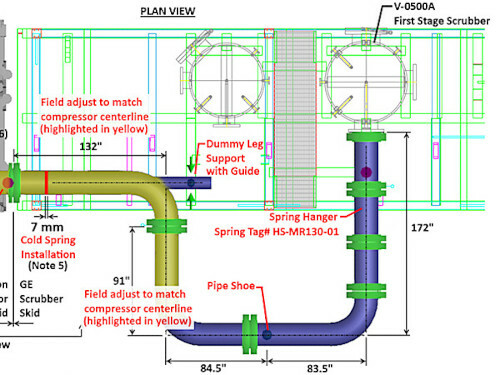 Safety is the number one concern and Brighton’s engineers have the experience and expertise to design and optimize piping layouts in order to reduce overall pipe stresses in the system and their subsequent effect on connected nozzles and equipment. 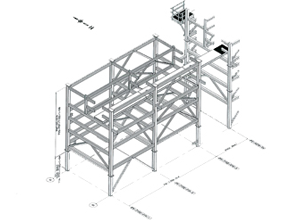 Our structural engineers use the latest 3D structural software to design, analyze, and optimize steel structures to the latest applicable building codes. With our vast experience, any concept can be modeled into the structural software to check for deficiencies against national and international building codes. 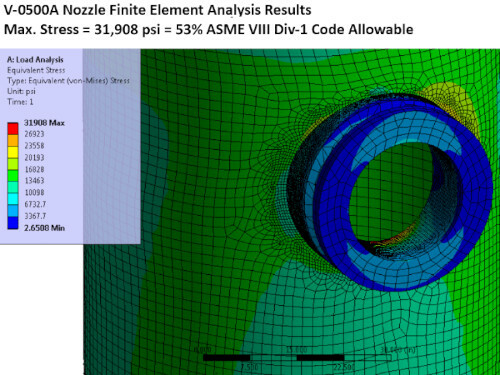 The software allows us to analyze each member of the structure and assess whether the member should be sized up, or can be optimized to reduce cost. Once the figures of each member meet the standards of the applicable building code, the structure is ready to be detailed using the latest CAD software for fabrication. Our Engineers have extensive pipeline experience and understand the crucial factors that must be considered during the design stage – including distance to be travelled, environment to be travelled through, expected volumes to be delivered and types of commodities that will flow through the pipeline. Brighton’s experience includes generating pipeline specifications for listed and unlisted materials, all ensuring the safest code compliant pipeline. Depending on the location of your structure, our engineers will design it to withstand the region’s specific wind, snow, seismic, and soil characteristics. With our skilled team of structural designers and draftsmen, we can take your structure from concept to design, optimization, and detailing. Over the last 25 years, our team has completed various OSB Energy Systems projects with clients in Grand Prairie (Alberta), Hudson Bay (Saskatchewan), and Fort St. John (British Columbia). A list of the specific work that we have provided can be seen in the list below. In Canada, typical engineering documents, such as P&ID drawings, vessel and piping fabrication drawings, vessel design calculations, pipe stress analysis reports, skid fabrication and lifting drawings, process line lists, PSV lists, and datasheets must all be stamped by a Professional Engineer in the specific province where construction is being undertaken. Regulatory bodies such as ABSA, BCSA, and TSASK also require engineering authentication of documents submitted in the pursuit of vessel, piping, or fitting registrations. These are an integral part of a supplier’s compliance obligation when shipping equipment to Canada. Brighton has always had the confidence and expertise to support domestic and international engineering firms’ comprehensive authentication requirements for all provincial jurisdictions. 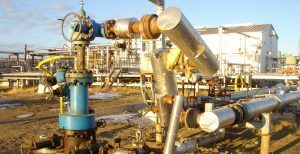 In the oil and gas industry, a wide variety of equipment and materials must be analytically verified and have the ability to meet API, ASME, or CSA codes. 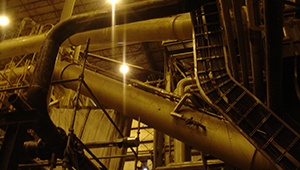 These include process and rotating equipment, heat exchangers and flare stacks, pressure vessels, piping systems, tanks, and skidded packages.